We Are the Boston, MA Lawyer Specialists to Represent You. Contact Our Expert Massachusetts Attorney Law Office Today at 617-787-3700. The best Massachusetts legal counsel means someone you can depend on to tirelessly fight on your behalf to uphold your rights and get you the results you deserve. 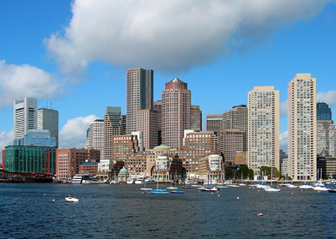 Our Boston, MA Law Firm is fully equipped to handle all of your Massachusetts legal needs. Our Highly Skilled Boston, MA Lawyer Advocates Are Available 24/7 and Will Work Tirelessly for You. Our Expert Massachusetts Attorney Specialists Are Just a Phone Call Away! With an experienced team of some of the most respected Massachusetts attorneys the Commonwealth of Massachusetts has to offer, we are confident that our handling of your case will exceed your expectations. Our goal is to provide you with top notch legal service, while earning your loyalty, trust and respect. Our Boston Law Firm would be honored to represent you, and we would be pleased to provide you with an initial free consultation in any area of Massachusetts law. Please contact our Boston, MA law office now to schedule a confidential meeting to discuss your personal needs at (617) 787-3700 or email us at info@gilhoylaw.com. 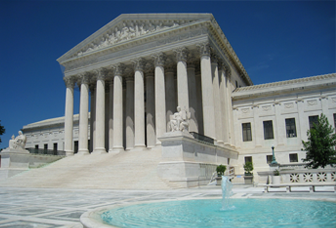 Our Boston, MA Lawyers Specialize in Massachusetts Personal Injury Cases. 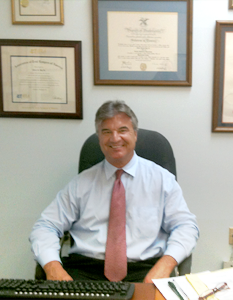 Our Expert Massachusetts Attorneys Have Recovered Millions of Dollars for Our Massachusetts Personal Injury Clients. 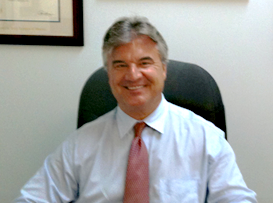 Our Boston, MA law firm specializes in Massachusetts personal injury cases. We handle all types of Massachusetts personal injury claims and all kinds of Massachusetts injuries. Our expert Boston personal injury lawyers have obtained millions of dollars for our Massachusetts clients. We charge you no attorney's fees --- it costs you nothing --- unless and until we obtain fair and just compensation for you! The Boston, MA Law Offices of Gilbert R. Hoy, Jr. and Affiliates is a team of Boston, MA lawyers from some of the most respected law offices in Massachusetts who have been personally selected by Attorney Hoy because of their skill, experience and expertise. Many of the Boston, MA lawyers who are available to our Massachusetts clients through referral agreements have been selected and recognized as among the best lawyers in Massachusetts and, indeed, the country. Our lawyers have been named as Lawyer of the Year and Boston's Best Lawyers by the Boston Globe, as Massachusetts Super Lawyers and New England Super Lawyers by Boston Magazine, and also selected for inclusion in The Best Lawyers in America. Whatever your Massachusetts legal issue is, we have an exceptional Boston, MA lawyer specialist to assist you. We are always pleased to provide our Massachusetts clients with an initial, complimentary and confidential consultation. Call us today at 617-787-3700 to schedule your free, private consultation with one of our expert Massachusetts attorneys. Please Contact Our Boston, MA Lawyer Advocates Today at 617-787-3700. Our Aggressive, Expert Massachusetts Attorney Specialists Are Available 24/7 and Are Waiting to Help You! Our Boston, MA Attorneys Provide Exceptional Client Service. Hire Us! "Gil - thank you so very much. You and your team of Boston car accident lawyers were always there to answer my questions and help me through this difficult process. I know how much you care about me and my case. And what results - great job!" "Justice was achieved. I am very grateful to your Boston slip and fall lawyers. My thanks to you and your staff for your support and kindness. You guys are truly amazing." The mission of our Boston, Massachusetts law firm is two-fold. First, we work incredibly hard to provide outstanding legal representation for every one of our Massachusetts clients. As a result of our Boston attorneys’ extensive legal knowledge, tenacity, determination and wide range of expertise and skill, we have an outstanding track record of success and accomplishment for our clients. Our attorneys will simply not settle for second best. Second, we always provide our clients with exceptional client service. This is as important to us as the outcome of your case. We keep every client fully informed of the progress of his or her case. As part of this commitment, all of our clients are copied on all correspondence from us, and we make it a priority to promptly respond to all phone calls and other inquiries from our clients. Our level of client service truly distinguishes us from other Massachusetts law firms. The attorneys at our office never act on behalf of a client without first thoroughly discussing the matter at hand with our client and jointly coming to a decision beforehand. We endeavor to represent each of our clients in such a manner that ensures that our clients receive the individualized, detailed attention that their unique case deserves.